The latest Nokia 9 variant has been spotted on the GFXBench today and like with other listings; this one also gives away the key specifications of the smartphone. 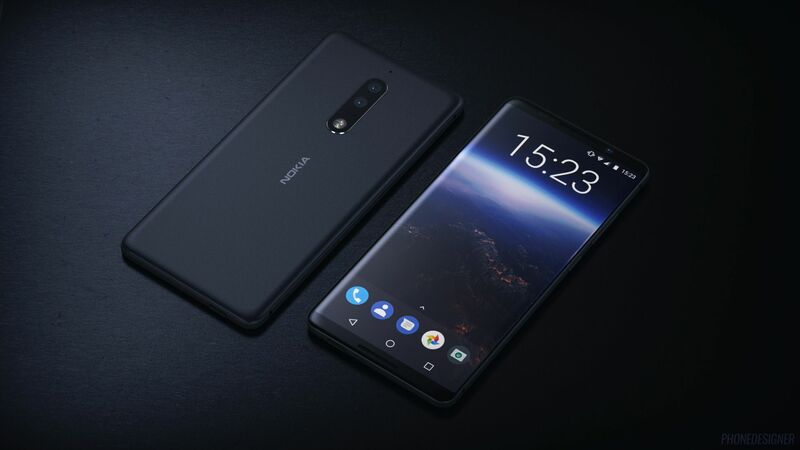 HMD Global is expected to announce the Nokia 8 as the company’s first ever flagship device on August 16, but this appearance of Nokia 9 makes the matter a bit worse for us to judge which smartphone HMD will be announcing the scheduled event. A screenshot of the benchmark listing was leaked on the Chinese microblogging site, Weibo, revealing its spec-sheet along with an exclusive image of the Nokia 9 handset. The device passed FCC certification last month. As the spec-sheet shows, the Nokia 9 smartphone will sport a 5.3-inch display. It may not come with a bezel-less design seen in most smartphones launching this year. However, the display does come with a 2K super clear screen and Quad-HD (2560 x 1440 pixels) resolution for enhanced viewing experience. Under the hood, the Nokia 9 is said to be powered by an octa-core Qualcomm Snapdragon 835 SoC, clocked at a speed of 1.9GHz, and accompanied by an Adreno 540 graphic chip. The chipset is clubbed with 4GB of RAM and 64GB of internal memory. The device also offers additional storage expansion option via a dedicated microSD card. In the optics department, the Nokia 9 seems to feature a single rear camera as opposed to the expected dual-camera setup. The device packs a 12MP rear snapper with autofocus and LED flash while another 12MP sensor sits on the front for selfies and video-calls. Both the cameras are capable of recording 4K videos. 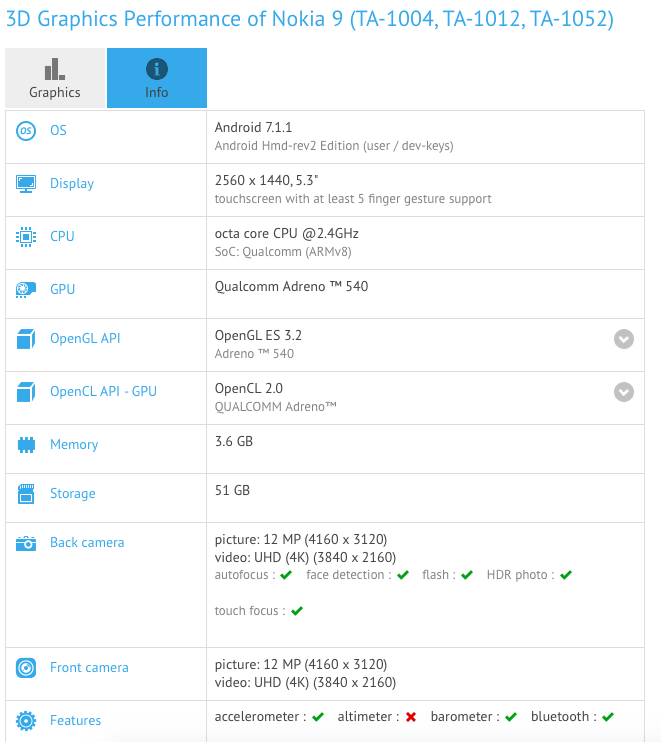 Interestingly, the AnTuTu listing of the same shows slightly different specs than the GFXBench listing. 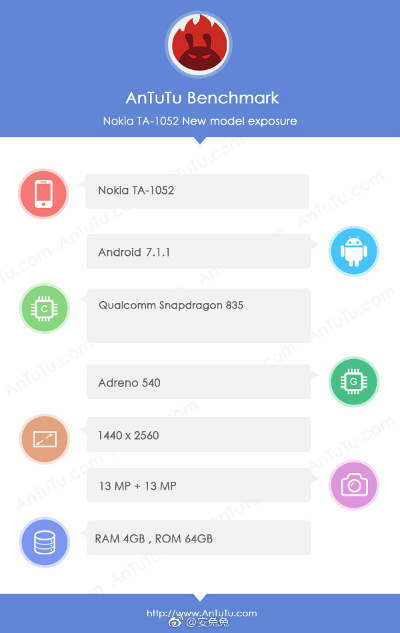 According to the spec-list spotted on AnTuTu, the Nokia 9 will come with 13MP cameras both on the front and rear of the handset. As for the software, the listing states that the Nokia 9 will run on Android 7.1.1 Nougat out of the box. The handset is alleged to come equipped with water and dust resistance IP68 rating. Given that the smartphone features the Qualcomm Snapdragon 835 chipset and taking into consideration all its other specs, the first real Nokia flagship, the Nokia 9, will most likely be a premium device. The Snapdragon 835 SoC is found in other high-end smartphones such as the Samsung Galaxy S8, S8+, HTC U11, and OnePlus 5, among others. The pricing of the device is expected to be placed somewhere around the USD 699 (approximately Rs. 44,885) range. Other rumoured specifications include a 3,800mAh battery and dual-SIM support with possible 4G VoLTE support. Nokia has scheduled an event on August 16 for the unveiling of the Nokia 8, and we can expect the Nokia 9 to be announced on the same date as well. But what differentiates the Nokia 8 and Nokia 9? Time will tell!